Your kid’s future starts now! Welcome to the youth sports training program, it’s where young athletes ages 9-12 learn the value of being active and healthy. We tailor our fitness programs to get the results you and your child want in a safe, motivating, fun environment. 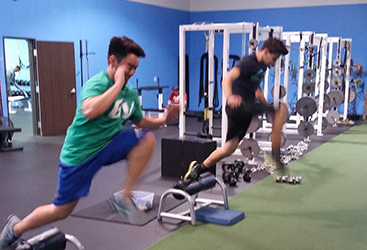 At Van Hook Sports Performance we keep it fun – working hard on coordination, agility, speed, functional strength, balance and reaction skills. Our younger athletes learn the correct form and technique for running, jumping, lateral movement. They will build a strong base of ‘muscle memory’ to keep solid mechanics as they grow older. Please contact us for more information at youth@vanhooktraining.com. We evaluate our young athletes often to check their progress and analyze how they are progressing toward our combined goals. Together we get our young athletes to an athletic level that will surprise you, coaches and the other parents watching the game. The proof is in the athletes – every athlete that has come to us has become faster, stronger, more agile and more explosive, period – we take every athletes training personally! There’s an excellent chance we can help your child, too. Greater confidence on the playground. Lots of healthy activity in a non-threatening environment. Mayo Clinic article: “Strength training: OK for kids when done correctly“. Research has shown the greatest changes in the body occur prior to age 13. Simply put, the more one can do prior to the onset of puberty, within a safe and controlled environment, the better neuromuscular system that athlete will have after puberty. Also, because of the physical demands this program places on the athlete, We will conduct a thorough pre-program evaluation. If the athlete has sufficient strength, they will be allowed to participate in the training program. 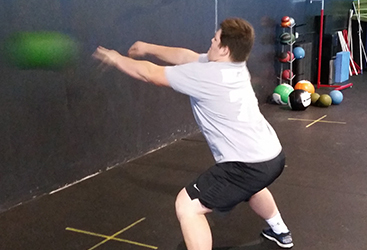 If the athlete does not have sufficient strength, We can incorporate a variety of programs that will enable the athlete to develop the proper amount of strength needed to complete the program.